John C. Wood, 83, of Pleasant Twp., Warren, PA., died Monday, May 15, 2017 at Warren General Hospital after an extended illness. He was born August 6, 1933 in Ashtabula, Ohio to the late Frank A. and E. Genevieve Edwards Wood. He was a resident of Warren, PA., since 1939 and a 1951 graduate of Warren High School. John had served with the U.S. Army, during the Korean War as a Private First Class, where he earned a National Defense Service Medal. He was employed with several supermarkets where he served as Manager, retiring from Loblaws after a 52 year career. While working in grocery stores, he met his wife of 58 years. John was of the Methodist faith, was a member of the Warren American Legion Post 135, Allegheny Community Center for the Arts, and a former member of Warren V.F.W. He was a true lover of music and an accomplished Tenor Saxaphone player, where he performed with the Warren Elks and Warren Rescue Bands. 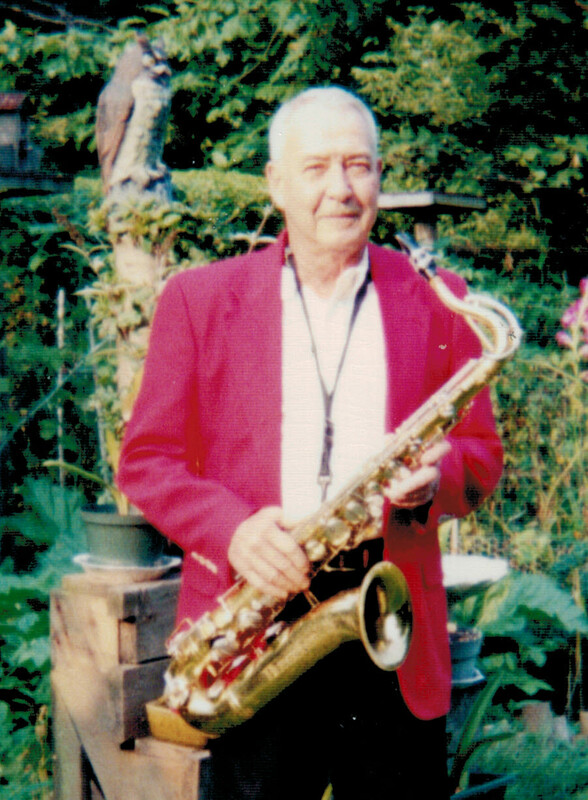 He had his own band called Woody’s Combo, providing dance music, and entertained at several nursing homes with “The Jammers.” He was an avid outdoorsman and especially enjoyed all kinds of gardening. John is survived by his wife, Frances M. Wooster Wood whom he married September 6, 1958 in Warren, PA., 4 Children – Lorraine Wood-Molnar and significant other, Alan Warren of Mechanicsburg, PA., Paul Wood and wife, Joel of Warren, PA., David Wood and wife, Shelley of Mars, PA., Ann Marie Kelley and husband, Ian of Lake Worth, FL., 7 Grandchildren – David and Michael Molnar, Rebecca Battiata and husband, Thomas, Lauren Keddie and husband, Alex, and Christian, T. Alexander, and Nathan Wood, 1 Great Granddaughter – Elle Keddie, several nieces and nephews. In addition to his parents, he was preceded in death by an infant son – John Avery Wood, 2 Brothers – Edward and Donald Wood. Richard and myself are very sorry for the loss of your dear husband, father and grandfather.Your thoughts and prayers are with the family at this time. He will be missed in the Elk’s Club Band. Your family will be in my prayers. Condolences to the Wood family. Our thoughts and prayers go out to your whole family. Psalms 147:3 says God, “heals the broken hearted, and binds up their wounds.” May God bring you comfort and peace.